Maybe you’ve heard about the magic of GORE-TEX®, but do you know how to effectively maintain the gear? 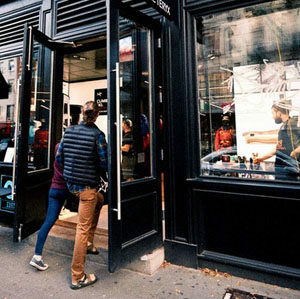 Join us Thursday 10/26 at Arc’teryx Soho when we join our homies at the shop and GORE-TEX® pros for education on the maintenance of the gear you need to get out there. The Secrets of proper GORE-TEX® care revealed. Bring your GORE-TEX® jacket to the shop to learn how to properly care for your gear. They’ll be washing and revitalizing gear to its peak performance so you can prep for another winter season! FIRST 100 TO RSVP WILL GET A FREE GORE-TEX GARMENT WASHED! RSVP HERE & GET YOUR WASH & WEAR ON! Find out about this season’s #ArcterxTakeOvR buses, all the awesome trips we’re planning together and how you can win a trip to #OvRrideJackson when we head out for our annual Homage to Jackson Hole this winter! Our crew will be on hand hooking up everyone that comes in with discounts for upcoming season and spreading the good word on all the awesome upcoming collaborations with Arc’teryx we have in store for the season. 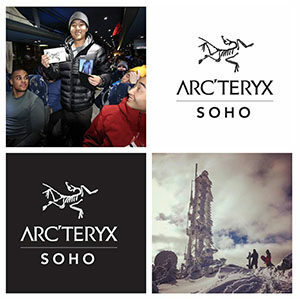 This entry was posted in Arc'Teryx, Events, Featured, Gear, How To, News, NYC, OvR Shout Outs, OvRcrew, Partnerships, Trips. Bookmark the permalink.